Alongside the Golf Day and the Tour de Manc, the latest event to commit to raising money for Forever Manchester during Forever Manchester Week is the DeCASKthlon. The DeCASKthlon is like a decathlon, but with pubs, pints and, well, more pints! Hosted in Manchester’s Northern Quarter across 10 pubs (to complete your decathlon) the DeCASKthlon will take place on Sunday 12th June from 1pm. A brain child of Forever Manchester supporters Mel Hill and Vikki Snowden, the event is aiming to raise money for Forever Manchester in a fun and inventive way. 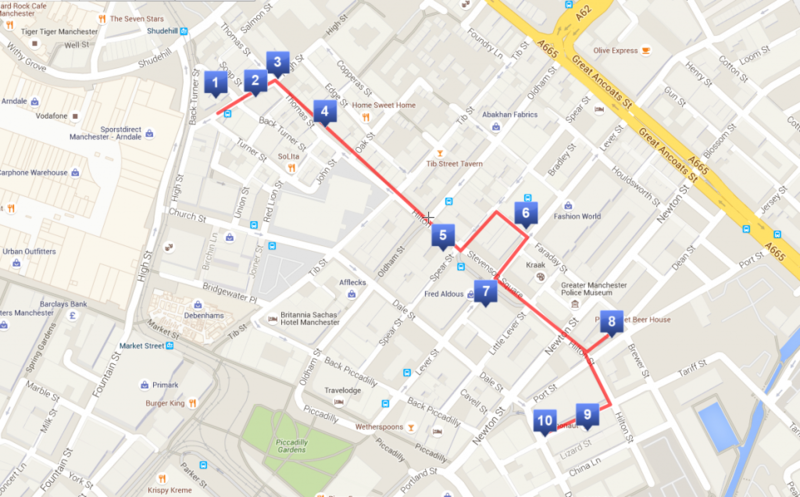 Starting at The Blue Pig on High Street in the Northern Quarter at 1pm on Sunday 12th June, the aim of the game is to make it to all 10 pubs. On entering each pub you’ll pay £1, which will go directly to Forever Manchester; any pub you don’t make it to you because you’re too drunk, too tired or too rubbish, you will be fined £2 per pub. This means if you bow out at bar 8, you will forfeit £4, which will do towards supporting community activity across Greater Manchester. If you make it to all 10 pubs, you’ll be donating £10 to Forever Manchester – this means “charitable drinking” – everyone’s fave!